Shakeology is a comprehensive nutritional shake that provides a wide variety of healthy nutrients in a low-calorie formula. Whether you use it as a meal replacement for weight loss or simply to ensure your body gets all the nutrients it needs for optimal health, Shakeology takes the guesswork out of nutrition! I’m loving that I feel less tired (no more zombie mom), have more energy, and get sick so much less since drinking it! That’s saying a lot, since I’m a mom of a toddler, and I’m around kids all day teaching. Yes…and no! While Shakeology has a high quality protein component it is far more than that. Shakeology has over 70 greens, fruits and veggies-that’s the nutritional equivalent to FIVE plates of salad in each serving! Now don’t get me wrong, I love a good salad, but FIVE a day, EVERY day??? I just know that no matter how good that might be for me I just couldn’t keep up with it! Shakeology makes it very easy to get all the vital nutrients you need while still controlling calories. Truth be told, the majority of people are WAY MORE nutrient deficient, than they are Protein deficient. So why just stop at a protein shake? Are the macronutrients ‘better’ than the shake I’m already drinking? A lot of people look at just 3 things on a label: the protein, carbs and fats. There is WAY more to reading a label than that! As long as the protein, carbs and fats are in an acceptable RANGE, what you REALLY need to look at is the The quality of all the OTHER ingredients, where they come from and what they do for your internal health on a cellular level. You also need to be on the lookout for what is NOT on the label! 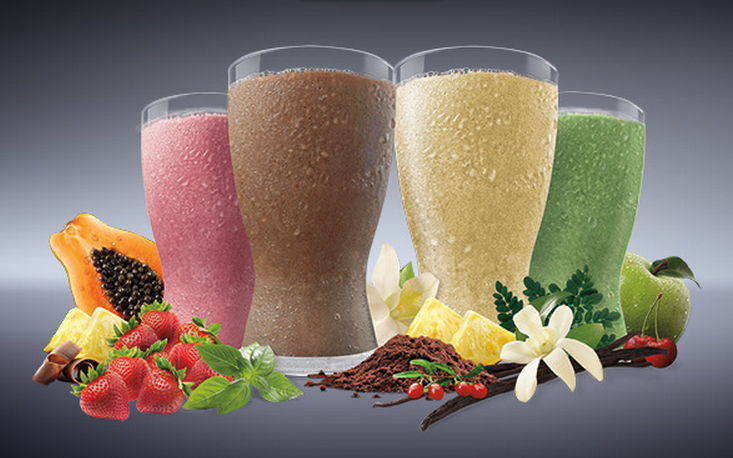 Shakeology has no artificial colors, sweeteners, flavors, preservatives, stimulants or soy. When comparing labels, be sure to look at the BIG PICTURE! Isn’t it better to eat whole foods? Yes! That’s why Shakeology IS a whole food! Unlike many “processed fake” foods, each of Shakeology’s superfoods has a unique way of being “preserved”. It’s a very difficult process to dry a food out enough that it can be ground and stored in a bag, but not so much that it’s precious nutritional enzymes are killed and eliminating it’s nutritional value. Each ingredient in Shakeology undergoes this careful process so that you get all the benefits of the whole food nutrition, without the hassle and expense of importing and consuming all 70 ingredients and juicing them every day! Anyone who thinks Shakeology is expensive simply does not understand it’s REAL VALUE. In a day and age where it costs $5 for a cup of coffee, most people would agree that paying $4 for a complete and comprehensive nutritional meal like Shakeology is a BARGAIN. Remember too that Shakeology also includes all of the daily vitamins for a typical adult (or child), so you are getting that as well! Now granted, most of us do not buy an entire month’s groceries at one time, so when you multiply the daily cost of shakeology out it can seem like a lot. BUT, when you consider that Shakeology is REPLACING one of those meals you’d need to purchase from the grocery store (or restaurant, or fast food place) I actually deduct my monthly Shakeology from my grocery budget. Its literally the least expensive AND the most dense nutritious daily meal my family consumes. For the price, I can not duplicate its number of high quality ingredients and nutrients. Isn’t Shakeology just for people who need to lose weight? Definitely not! Remember, Shakeology is a NUTRITIONAL shake that EVERYONE can benefit from! So while it CAN be an extremely valuable tool for those looking to lose weight, it’s just as valuable a tool for those looking to boost their immune system, regain energy, recovery from illness or even GAIN weight! 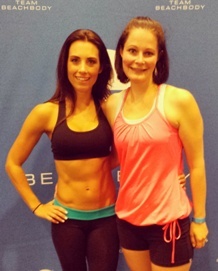 Shakeology is about HEALTH. When you put the RIGHT nutrients in your body that it needs to develop, heal, recover, repair and thrive, you will ultimeltaly have MORE energy, LESS cravings, and FEEL better there fore you eat less and become more active. Shakeology is the FOUNDATION from which ANYONE, young or old, weak or strong, too heavy or too light can build optimal health. Shakeology is about DENSE NUTRITION so you can use it as your meal base and add clean calories to it making it a 300 calorie, 500 calorie or even more! Lets face it, not everyone needs to lose weight, but every needs to be healthier! Try it for 30 days, with a full money-back guarantee. I’m sure you’ll be feeling better, like I am!